This personalized keychain is black matte on the front and high polish silver on the backside. The black matte finish looks stunning when engraved due to the stark contrast. It can be engraved with your personal message on both sides. 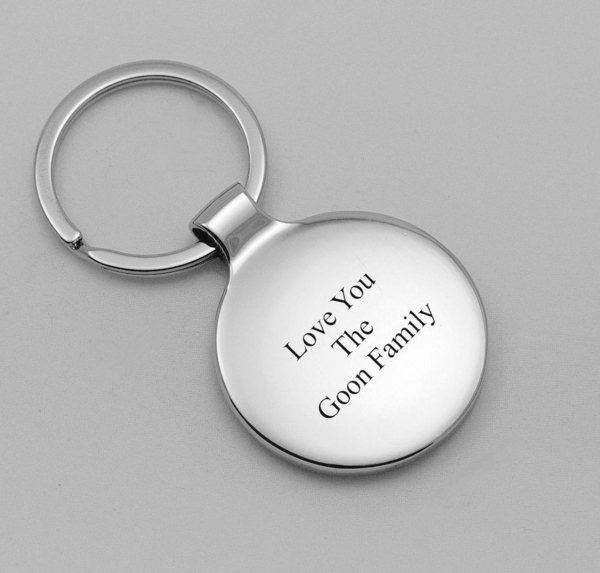 DIMENSIONS: 2" x 1.325" ENGRAVING AREA: 1" x 1"
Engraved keychains are a simple yet elegant gift that are a great accessories for everyone. 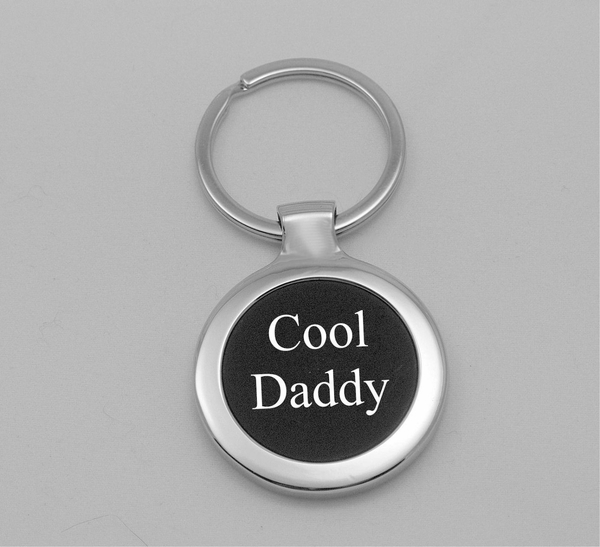 A & L Engraving='s premium assortment of engraved key chains come in a variety of styles and uses including photo holders to detachable valet rings. Personalize any of our key chains with engraving to make the gift extra special. From romantic hearts to contemporary shapes these personalized key chains are great for all occasions. Contact us for discounts on large orders of customized key chains for teachers and students.